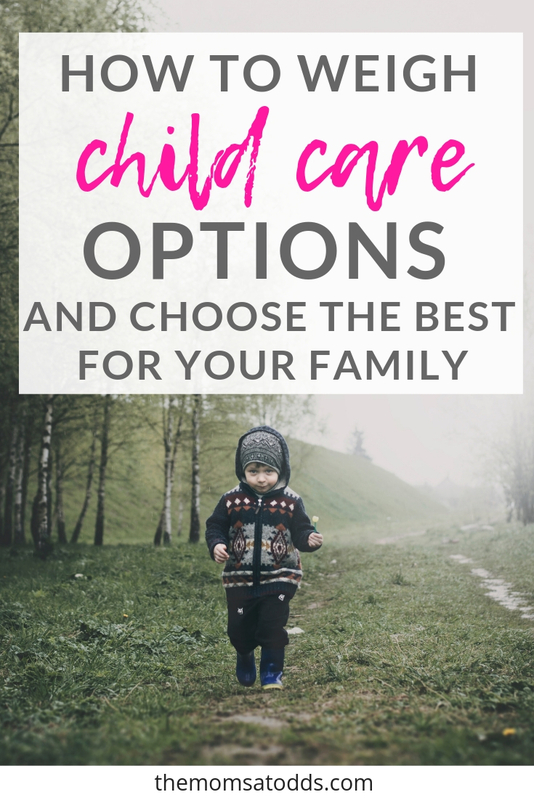 Examining your child care options to decide who will care for your child is a monumental (not to mention stressful!) decision. Obviously, we all want the best for our kids. However the reality is that our options are often limited by where we live and what we can afford. There isn’t a one-size-fits-all option and every family’s circumstances are different. Ultimately there are positives and negatives to all of the child care options. Keep in mind that high quality child care can be found whichever route your family takes. Disclaimer: This page may contain affiliate links. See our disclosure policy for more details. Use our list of six child care options below as well as any other types of child care you can think of. For each category, list specific centers or individuals that are available possibilities. Check with other parents for recommendations, friends, co-workers, and even your pediatrician. After you have made notes, narrow down your child care options to those that are feasible. If there are still multiple options on your list, it’s time to get personal. Make appointments to visit local daycare centers and homes. Schedule appointments with potential nannies or au pairs. Give each contender an opportunity to tell you why they would be the best to care for your precious bundle of joy. Read What Does Your Mother-In-Law Think About Your Parenting? 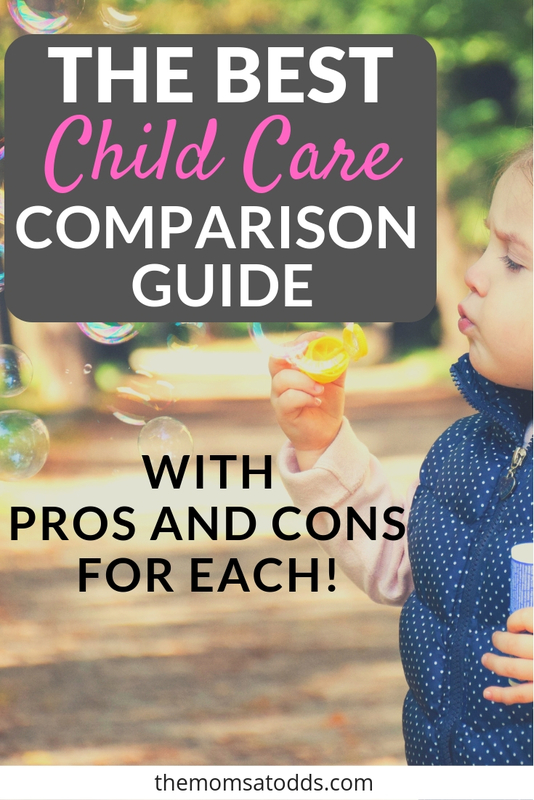 Still confused about what’s an au pair vs. nanny vs. daycare? Let’s get into the specifics now! Reliable – Day care centers have posted schedules, so you will know ahead of time about any closings such as holidays. Parents don’t have to worry about their caregiver calling out sick or leaving for vacation since the center manages that. Structured – Most daycares offer some sort of curriculum so parents know what they are doing with their children all day. This often includes arts and craft, stories, and different learning activities based on the child’s age. Licensed – Depending on your state’s rules, most centers are licensed. Parents know that their center is following all of the state regulations on child care. These standards concern health and safety and include rules on safe sleep practices, cleanliness, and emergency preparedness. Socialization – Being surrounded by peers can help young kids learn social skills like how to share, take turns, and make friends. The ability to communicate and cooperate with others helps kids transition to school. Illness – Generally kids in a group setting are going to be exposed to lots of germs, so expect them to get sick more frequently. Also, most daycares have strict rules about sick kids not attending. Often fever, vomiting, and diarrhea trigger calls to parents to pick up their kids asap and they can’t return for at least 24 hours. Less individualized attention – The caregivers have to be able to watch multiple kids at the same time so they can’t spend as much time engaged on an individual level. Any parent can imagine how difficult it would be to care for 3 or 4 infants at once. Strict hours – Daycare centers are strict about their hours of operation. Obviously, kids can’t be dropped off before they are open, but be careful about closing times as well. Most centers fine by the minute if you pick up your child after hours. Less Control – Daycare centers have defined room timelines, schedules, and menus. This may mean your child has to drop a nap before they are ready or is held back with younger kids if they aren’t potty trained based on the center’s timeline. Parents also have to send their own meals if they do not approve of the center provided foods. Price – Often in-home daycare is the least expensive option. This depends on your area and available options. Home environment – Many parents like that their children are in a home environment, as opposed to a traditional center which may feel more institutional. More personal – There are often fewer caregivers so parents can get to know them well. Also, parents know that any specific requests, such as dietary restrictions or medication instructions, are known by the caregiver because they personally told them. Mixed age group – In-home providers generally care for multiple children of different ages, therefore providing the attendees with expanded socialization opportunities. Older kids model behaviors for the younger children which can aid in areas such as speech development and potty training. Licensing – Some in-home care providers are licensed but not all. Depending on state, licensed in-home care providers must pass house safety inspections, show they are in compliance with regulations and take CPR and first aid training. An unlicensed center may or may not still follow the state rules, but it is left up to the parents to determine if the care is acceptable. All Your Eggs in One Basket – All of your child care needs are dependent on one person, which means you have to make alternate plans if they are sick or on vacation. Uncertainty – Some in-home providers run similar to traditional centers and some are babysitters. It is entirely dependent on that individual provider. There are many factors to consider, such as references, how many children are watched and their ages, the specific environment, screen time, disciplinary beliefs, structured education activities, and other individuals present in the home. Beware of providers that don’t require a contract or want to be paid under the table. Read Purées vs. Baby-led Weaning, What’s Right? 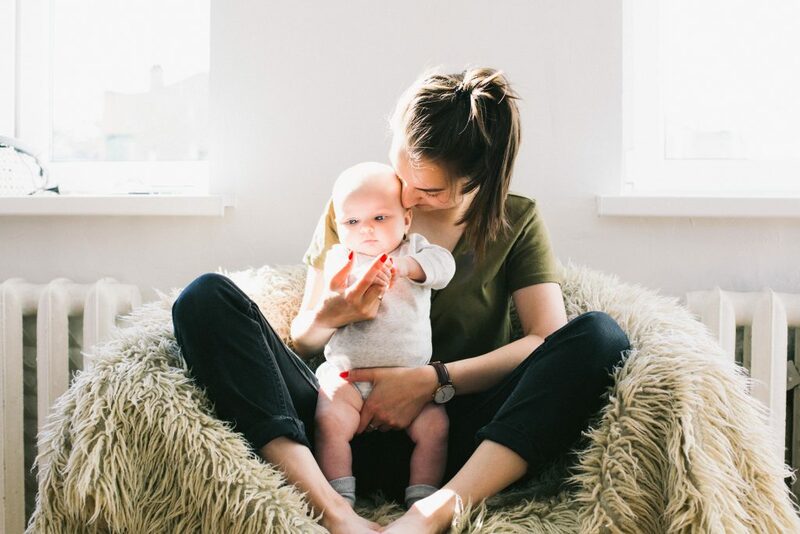 Familial Love for Child – Even if you have the best nanny or daycare provider in the world, it is hard to beat the love your family will have for your child. Free/Cheap – Obviously a huge advantage to having family watch your child is the fact it’s usually free or much cheaper than other daycare options. That equals thousands of extra dollars in your pocket. Flexible – Family is likely to be more flexible about things like taking care of your child when they are sick. They may also be more forgiving if you have to stay a little late at work or go in early. Less Receptive – While this may not apply to all family members, it’s definitely true for many of them. Parents will often complain that their family members insist they already know how to take care of children and not listen to updated advice (ie. new crib guidelines, safe sleeping practices, tummy time recommendations, etc). Location – Due to the location of your family member, this may not be a feasible or practical option for you. If you have to drive an hour out of your way every day just to drop off your child, it’s likely both you and your child will get burned out. 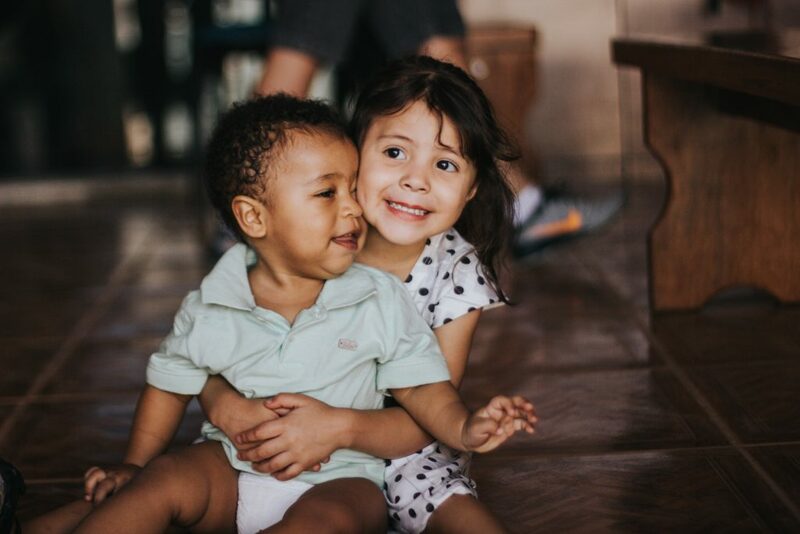 Gets Personal – Your family may live nearby, but that doesn’t mean they are able to be your primary source of child care (working, poor health, or not willing to provide care). If they are able, having your family watch your child is mixing your personal and business lives. Sometimes it’s hard for the family member not to feel like you “owe” them for all the child care. Or maybe you might get upset about the way a family member is caring for your child. Whatever the reason, it can cause conflict and get messy. A caretaker employed to care for a child in it’s own home. One-on-one Attention – A single nanny to a single child obviously provides the maximum amount of attention to a child. The nanny can remain focused on the child’s needs with no competition. Control – Parents have more control over their child’s day because a nanny only has to take directions from one family. This includes regulating items like diet, nap schedule, screen time, etc – things that you can’t control when multiple children are being watched in a daycare setting. They can even send you texts or picture updates throughout the day. Mornings Are Easier – When you drop your children off at daycare outside the home, mornings can be hectic – from getting yourself ready to packing lunches for the kids. With a nanny, you can set up their schedule so they arrive before you have to leave to let you shower and get dressed in peace. Plus, imagine the joys of a child-free commute to work! No Accreditation – There are no requirements or regulations for becoming a nanny, which means the hiring family is responsible for all interviews, screenings, and background checks. While there are agencies that can provide these services, this doesn’t change the fact there are no qualifications or experiences required to call yourself a “nanny”. $$$ – There’s no doubt about it, having a nanny is the most expensive of the child care options. The hiring family is responsible for their entire yearly salary, taxes and negotiated paid time off. Au pairs are [often] young foreign individual who help with child care in exchange for room and board (and an allowance). Nanny benefits for less $$$ – Many of the “pros” you receive for hiring a nanny (ie. the control, the one-on-one attention, etc.) also apply to an au pair situation. And since an au pair lives in your house, that monetary amount for room and board is factored into their pay. If you already have a guest room you’re not using, having an au pair stay there won’t cost you much extra money but will save you a lot on their salary. 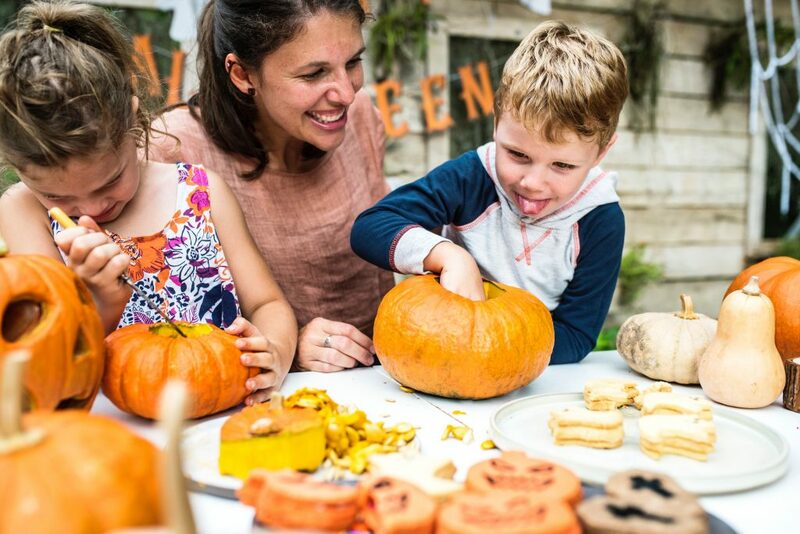 Culture Exposure – Since au pairs are from other countries, they introduce the children to aspects of their culture such as traditions, language, and food. This can be a very valuable experience for a growing mind. Likewise, the experience is very valuable for the au pair, as they are coming to your country to work and to learn the language and culture. Smooth Process – There are many au pair agencies out there and they walk you through the entire process of selecting and preparing for an au pair. The match process is extensive, and you can tell them any requirements you have, such as willing to learn baby sign language. Local care coordinators will even stop by for check ins and organize events for local au pairs to get together. Au Pair Variety – Au pairs are part of a government-regulated cultural exchange program. Then tend to be young (under 30, often around 20) with no “professional” child care experience. However, many have experience with watching younger siblings, cousins, friends, etc. The lower age means it is more similar to sharing your home with an exchange student rather than a live-in nanny. Additionally, there is a wide range in the type, and quality, of au pairs. 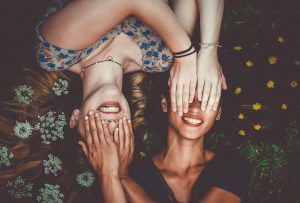 As part of the selection process you will have video chats and interviews, but sometimes experiences change once the au pair relationship has begun. Temporary – As mentioned previously, au pairs are a government-regulated program that has many rules. One of them is the limited amount of time an au pair can work for you, the maximum is often 2 years. If you are looking for continuity of care until your child reaches elementary school, this option will not work for you. 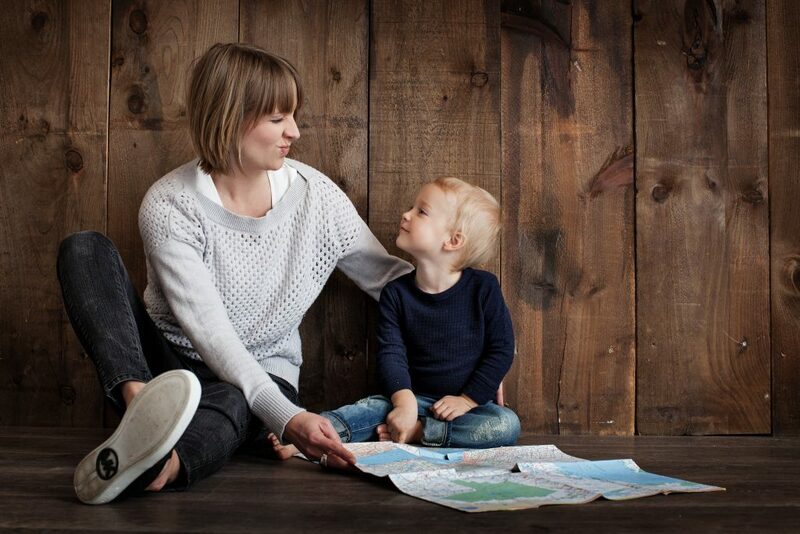 Lots of Rules – There are many rules and regulations in place to keep the program successful and protect both the au pair and the host family. This also means there isn’t a lot of “wiggle room”. For instance, hours and times for child care are very specific, and while you can change the hours around you aren’t allowed to ask for overtime. When two or more families employ one nanny, sharing the cost of her salary. Less $$ – Nanny sharing allows you to have many of the conveniences of the personalized care at almost half the price of a conventional nanny. 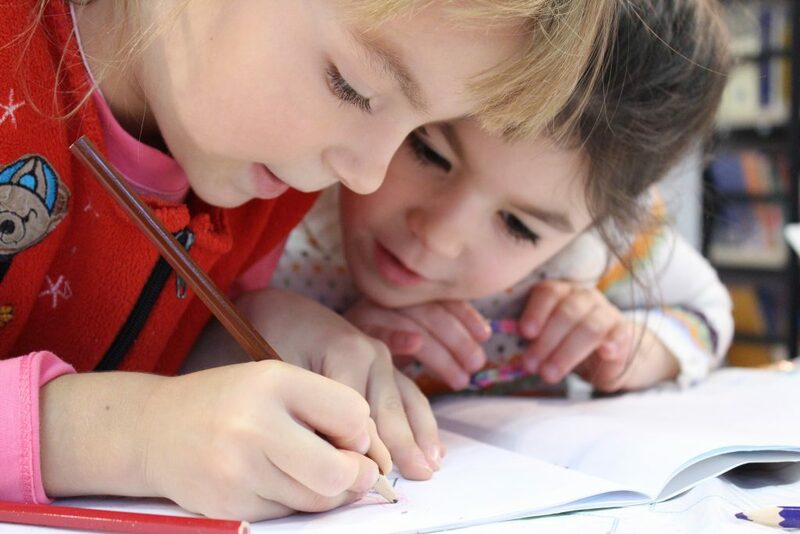 Individualized care – While it may not be the “one-on-one” attention you would get with a nanny, shares still allow for more attention per child than at a traditional daycare setting. 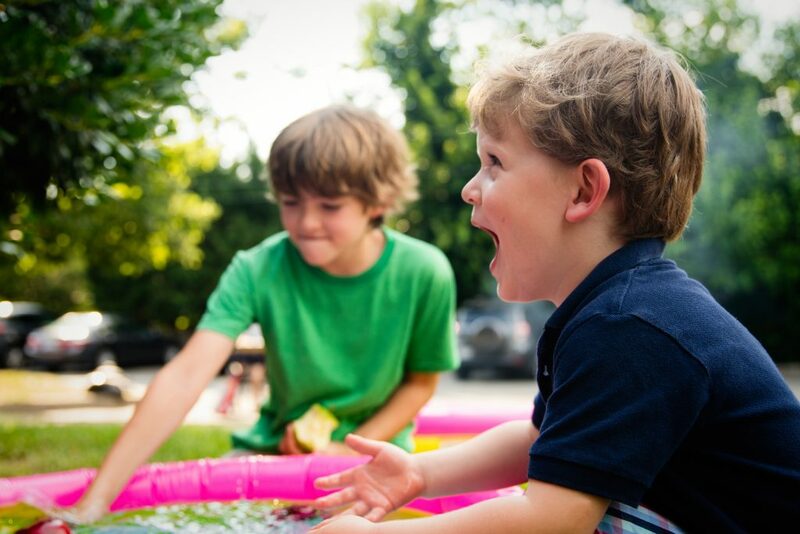 Socialization – Kids often develop a strong bond with the other child/children in their nanny share. They learn to play together, socialize, and share in ways a traditional nanny setting wouldn’t allow. 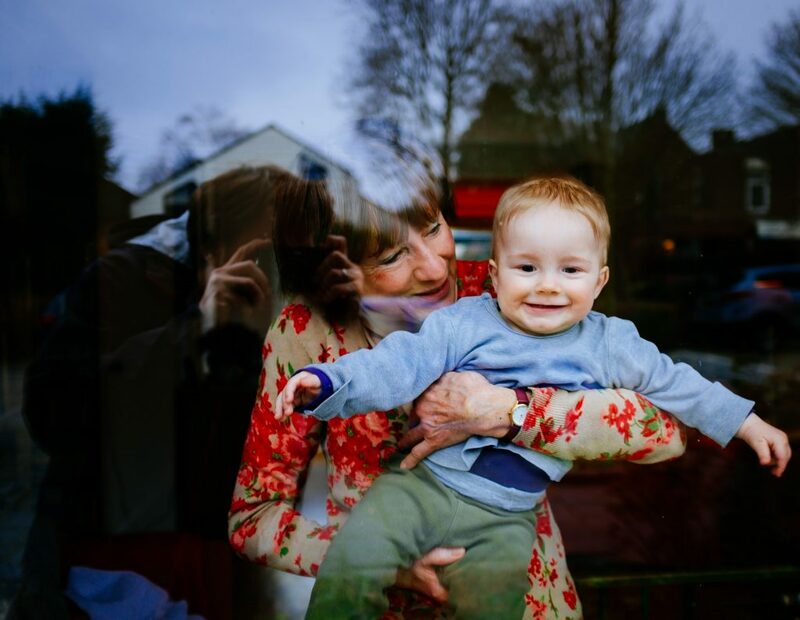 Finding a Match – Nanny sharing isn’t that common, so finding another family to share services with can by tricky. Add in all the factors you have to agree on – like location, ages of children, parenting philosophies, the perfect nanny, etc – and it becomes even harder to find a match. Location Logistics – There are cons whether you choose to host the share at your house or the other family’s. If it’s your house, you are responsible for storing all the child care items. Additionally, some people are bothered by the thought of multiple children and a nanny being around their home all day. If it’s at another house, what happens when someone goes on vacation or is sick? Did you find this post helpful? Let us know in the comments! And be sure to pin it now so you can both reference it later and share it with your followers. What Does Your Mother-In-Law Think About Your Parenting?